The vile Drago Gang, the scourge of Colorado, are running roughshod committing all kinds of crimes then taking refuge in New Mexico Territory - outside the jurisdiction of Colorado lawmen. They are led by Drago Leon (Morgan Woodward) - a no account nasty outlaw. Sheriff Chad Lucas (Audie Murphy) has had enough and believes the next target will be a train due to deliver money for the local bank. He and his deputy Cap (Denver Pyle) ride out to prevent a robbery, but an unexpected turn leaves Lucas wounded and left for dead. Far from down & out, he is hellbent on vengeance and rounds up a ragtag posse of selfish & scheming scoundrels to head south into New Mexico. Soon they catch up with the Drago gang who manage to escape by taking saloon singer Uvalde (Joan Staley) as a hostage - Uvalde and Lucas have a past which complicates the matter further. The chase leads through dangerous Apache territory and over steep rugged mountains - can Sheriff Lucas maintain the chase and put an end to the Drago gang while also rescuing the lovely Uvalde while dealing with the duplicitous members of his own posse? This is a very interesting film that unfortunately came out about 6 years too late. The aesthetic and narrative style would have fit in rather nicely in the pantheon of 1950s westerns, but by 1966 the genre had moved on to grittier, more violent Spaghetti Westerns that were entirely different in tone and structure. 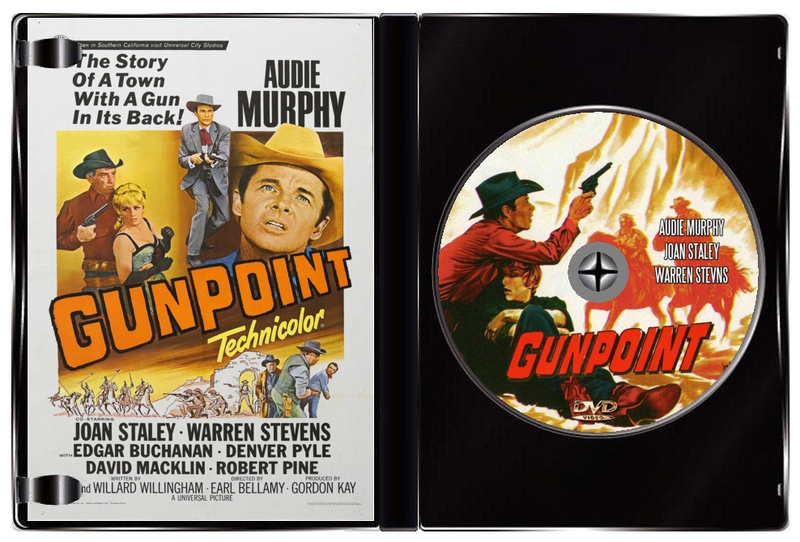 Still, for fans of Murphy or 1950s-style westerns, Gunpoint is a fine outing. Astute film-buffs will notice an interesting cost-cutting measure right off the bat as railroad scenes are transplanted straight from 1957's Night Passage where Murphy played an outlaw (The Utica Kid). 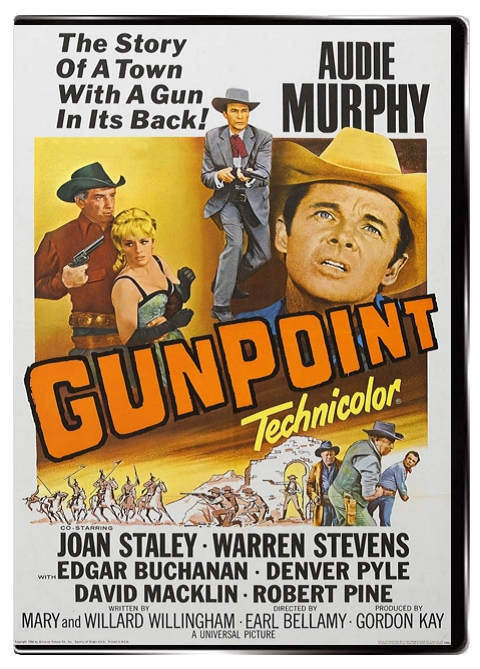 One always knows what you are getting with an Audie Murphy western - plenty of action from start to finish and a good solid hero. 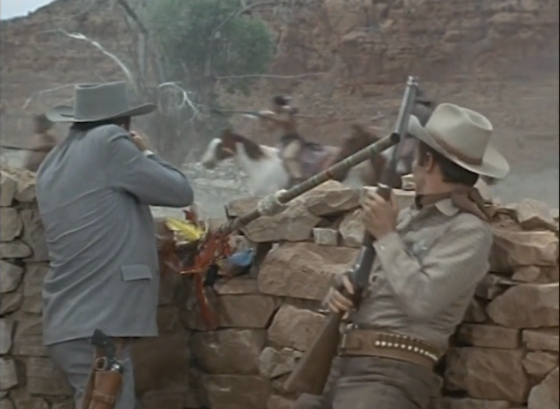 The action here includes the attack on the train, a fight against angry Apaches, climbing over a mountain, stampeding horses, and a good final shootout. Driving the drama side of things is a classic love triangle revolving around the lovely Joan Stanley. 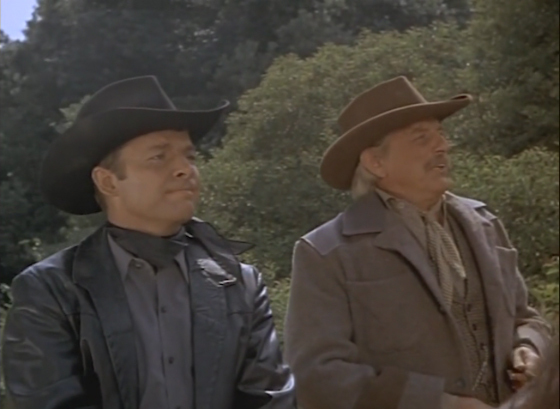 The outdoor scenery is pretty impressive, and director Earl Bellamy squeezes a lot out of what he's given - it is almost physically tiring just watching the posse dragging their horses over the mountain. A nice cast of western veterans are on hand to give Murphy good support, and of particular note are Warren Stevens as the saloon owner and Edgar Buchanan as a leader of a family of equally bad rawhiders whose camp the posse stumbles across.